“Choice” can change the world. This is the key message captured by the United Nations Population Fund in their 2018 flagship publication. The publication outlines the long term effects of choices and how it impacts fertility rates, family sizes and child spacing, amongst others. Family size is closely linked with reproductive rights, which in turn are tied to many rights including the right to adequate health, education and jobs. Where people can exercise their rights, they tend to prosper while places where these rights are stifled people fail to achieve their full potential, impeding economic and social progress as highlighted in the report entitled: The Power of Choice; Reproductive Rights and the Demographic Transition. 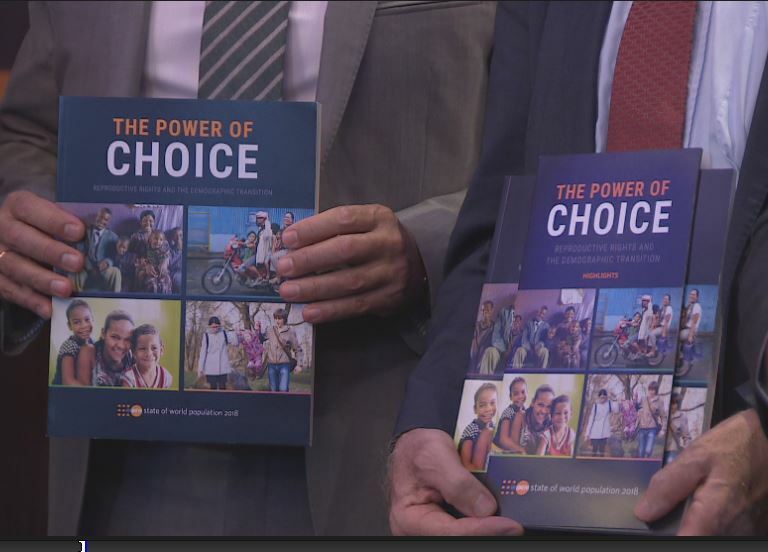 “Choices can rapidly improve the well-being of women and girls, transform families and societies and accelerate global development,” said Koffi Kouame, UNFPA Representative. UNFPA noted that when a women has the power and means to prevent or delay a pregnancy, for example, she has more control over her health and can enter or stay in the paid labour force and realise her full potential. The report found that no country can claim that all its citizens enjoy reproductive rights at all times. “To make freedom of choice a reality, governments must prioritise universal access to quality reproductive health care, including modern contraceptives; ensure better education, age appropriate, age-appropriate-sexuality education, advocate for a change in men’s attitude to be supportive of the rights and aspirations of women and girls and make it easier for couples to have more children if they want them by enabling greater work-life balance affordable child-care,” stated Kouame.